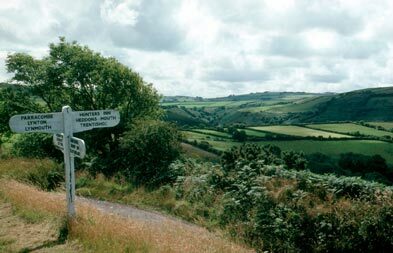 Exmoor has an undeniable charm and uniqueness - awe inspiring landscapes, characterful villages and ancient history perhaps contribute to what makes this region so enchanting. 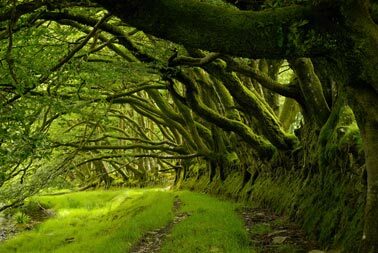 Woodland, hilly moorland and a dramatic coastline stretching over Somerset and North Devon, Exmoor covers and area of approximately 690 square kilometers so there's plenty to explore. When people hear the name 'Exmoor' they sometimes assume a vast, plain landscape with few defining features. The reality is that Exmoor is a hugely varied area with a mixture of open heathy moorland, deep valleys with picturesque woodlands. Ancient stone walls and beech lines of hedges of hundreds of years of age are wonderful to walk amoung at any time of year. 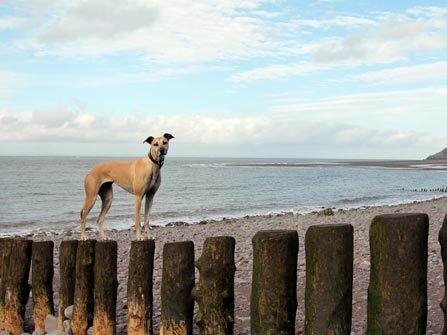 Walk with spectacular views from the coast path across the sea to Wales, to high peaks such as Dunkery Beacon, or discover secluded pathways through woodlands and forests. The high ground forms catchment areas for the various rivers and streams, around 300 miles of which are named rivers on Exmoor. 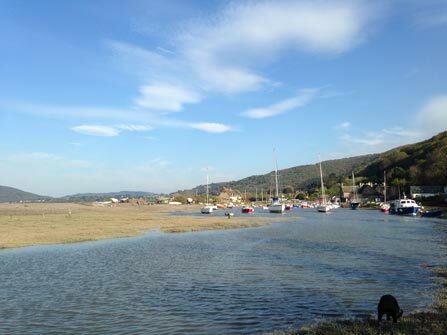 The river Exe, for which Exmoor is named, flows south from near Simonsbath to follow much of its path through Devon. There are regions deemed to be of 'Sites of Special Scientific Interest' across Exmoor - North Exmoor holds sites for breeding bird communities, a large population of the rare heath fritillary butterfly and an exceptional woodland lichen flora . In the South Exmoor SSSI, there are sites of ancient woodland of sessile oak, with ground flora of bilberry and varied mosses. The heaths and the stone boundary walls across it provide habitats for strong breeding populations of birds such as the whinchat, european stonechat and wheatear. While walking or driving across Exmoor, you are likely to encounter Exmoor ponies on the open moors. They graze and roam freely, in managed herds that are owned either privately or by the National Park Authority. Exmoor ponies are the closest breed to wild horses in Europe, and the oldest breed in the world. Nearly becoming extinct after the second world war, they are categorised as endangered by the Rare Breeds Survival Trust. Foals are born in around late spring, running with their mothers over the summer months before the herds are driven down to the farms in the Autumn. Here the foals are weaned, the ponies inspected, branded and mircochipped before being returned to the moorland for the winter. The diverse habitats offered by Exmoor's varied landscape provides homes for a vast array of species, including butterflies, bats, deer and otters. Sheep have grazed on Exmoor for thousands of years, shaping the landscape by grazing on moorland grassland and heath. Exmoor is home to the largest herd of wild red deer. Seeing these majestic creatures on the landscape is an iconic, exhilarating experience - whether walking, cycling or driving across Exmoor they may be spotted. Seeking local experts for a safari tour off the beaten track is an option for those keen to increase their chances and to gain more insight into the beasts and beauties of the moor. There is evidence of human activity on Exmoor since the Mesolithic times, over 7000 years ago. Through clearing and cultivating land, cutting down trees and grazing animals they changed the landscape, leaving behind other remnants such as flint arrowheads and standing stones. There are many undisturbed archaeological sites and monuments, providing great insight into our past and understanding of history both locally and nationally Standing stones and carins of Lanacombe are scheduled as ancient monuments, with stone settings of 30-65cm in height. In assocaiation with these standing stones are a series of Bronze Age stone cairns. Sheep farming for the wool trade came to dominate the economy in the Middle Ages. Merchants collected the wool, spun into thread on isolated farms, from where its was taken to be woven, fulled, dyed and finished in thriving towns such as Dunster. 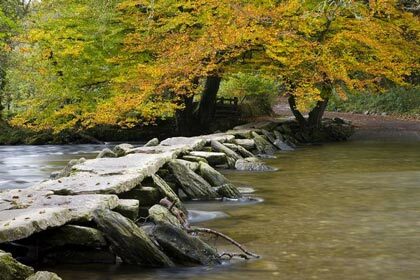 Tarr Steps are a beautiful and functional connection to our past, over 3000 years old, this clapper bridge is constructed of stone slabs up to 5 tonnes apiece. Designated by English Heritage as a grade 1 listed building to recognise its special architectural, historical or cultural significance. Once crucial to coastal trade and existence as a port for over a thousand years, this unique spot captures the hearts of man. Individually owned sailing boats and non-commercial fishing boats are often found in the harbour. 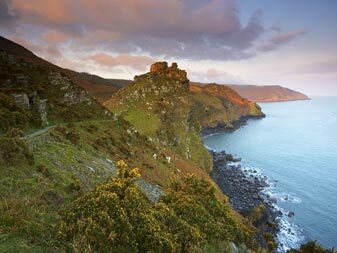 Exmoor has 34 miles of coastline, with stretches of beaches and cliffs, including the highest seas cliff on mainland Britain near Combe Martin, 318m high. Exmoor's woodlands sometimes reach the shoreline, around Porlock they form the single longest stretch of coastal woodland in England and Wales.